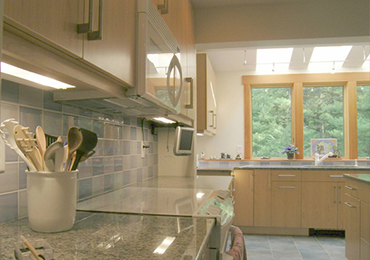 Are you looking to upgrade your kitchen but can’t afford a full remodel? 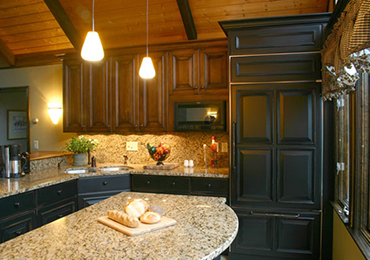 Are your cabinets in good shape – but your countertops need to go? You’ve come to right place. 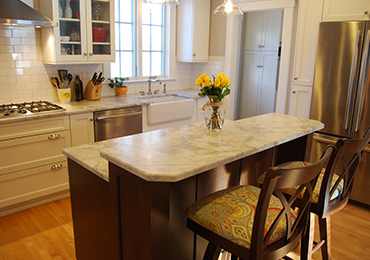 We’re the leading countertop replacement specialists in Southern NH and Northern MA. Replacing your countertops couldn’t be easier. We can template your new counter with your existing counters in place. You don’t have to remove your old counters or disconnect your plumbing prior to template. In fact, you can continue using your kitchen right up until the moment we get there! We measure your new counters with our state of the art laser, and then go back to the shop to develop your template. You can come to our climate-controlled slab warehouse and choose from 100’s of colors and more than 1000 different slabs – all indoors. When your countertop is ready, we’ll return to remove your old tops and install the new ones in the same day! 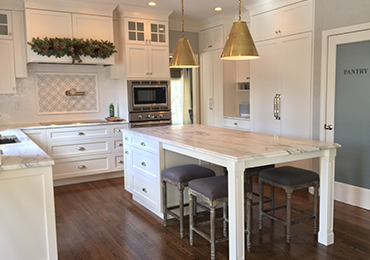 Eat breakfast on your old counter, have dinner on your new stone or quartz counter!